The popularity of projectors has seen continuously increase in the recent past owing to their diverse uses an enormous advancement in technology. 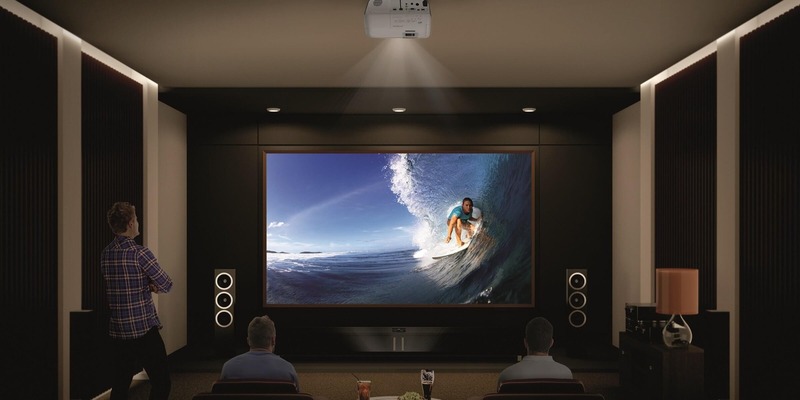 While home theater projectors are used by television viewers and movie buffs, multimedia projectors are utilized to interact with the audience in a better way during office meetings and presentations. Whether you are looking to put up a projector in your living room for an enjoyable home theatre experience or take it with you to a conference, a GoSho is a perfect HD projector that can serve plenty of purposes. 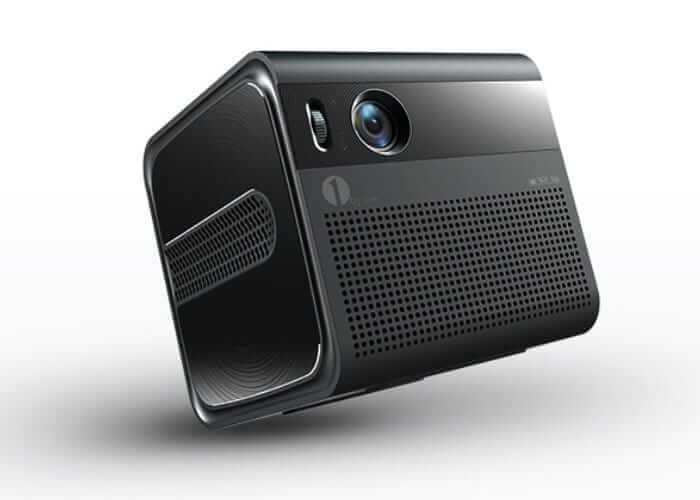 GoSho is a new Mini HD 3.5-inch projector that gets up to 200-inch crisp HD image with the cinematic experience. With GoSho, you can now stream and project whatever you want, wherever you want. GoSho turns what’s on your screen into what’s on the wall; or plug and play with HDMI or USB. Make your media almost 200 times larger than life. Now you can watch your favorite movies or television programs on a gigantic screen. As a cute projector with low footprint form factor, GoSho Mini HD just has a dimension of 3.5-inch. With that commendable tiny size, it is capable to deliver up to 200-inch visuals with crisp, sharp and detailed visual quality. It will really make the pictures come alive and leave you craving for more. GoSho is just what you need to better interact with your audience in a meeting. This projector can be connected to a laptop and used to display pictures, lectures, or PowerPoint presentations on a huge screen for a large number of people. You no longer have to worry about long dongles. GoSho is also compatible with smartphones, laptops, tv sticks, gaming consoles, and smart voice assistants. GoSho may be small, but it transforms your viewing experience in a big way. And it isn’t just the imagery that’s huge. 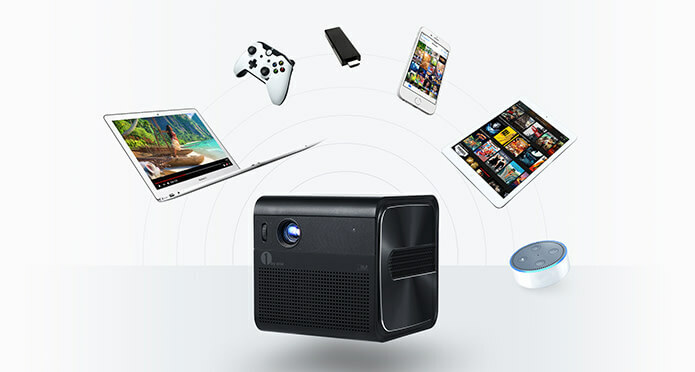 GoSho can be connected wirelessly, or with Standard HDMI and USB, making it easy to view and share any kind of entertainment. It easily turns any home, office or cafe into an immersive cinema. 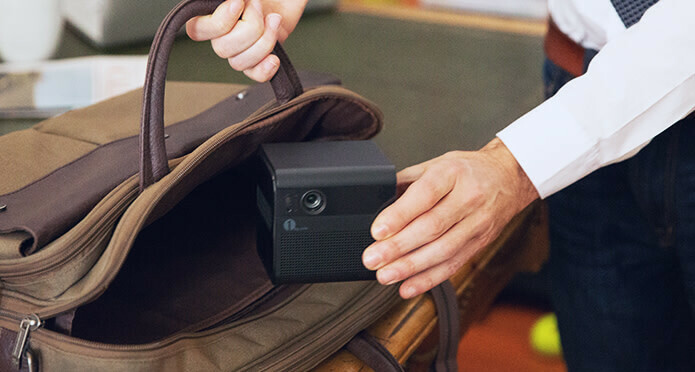 With 180 ANSI lumens, GoSho is the brightest portable projector out there. With its remarkable clarity and radiance, you’ll enjoy content with the kind of quality you’ve only imagined of. You can play media with this projector for 4 hours at a stretch and this is another reason that gives it a clear competitive edge over most projectors in the market. With its built-in WIFI module, GoSho can stream content directly from your smartphone, tablet, desktop, and game consoles. Mirror what’s on your screen with AirPlay and HDMI cable. GoSho works with TV boxes and various streaming sticks, so all your favorite shows are right at your fingertips. To make it even better, GoSho comes equipped with our patented Auto-Keystone Correction and a built-in 15-degree Kickstand, so you can easily adjust your projection height, while it automatically corrects the angle to prevent images from stretching. It is undoubtedly one of the best projectors with a small form factor. The key features like easy portability, smart assistant support makes it a great choice for everyone.